We stayed at Villa Tasos 10 days. Everything went perfect from the first day of arrival. The staff were especially welcoming and helpful, room always was clean and tidy and we especially enjoyed the pool! Thank You! Villa Tasos is at an amazing location! The staff is super friendly, i highly recommand it! The place is great! Room was clean. The beach is very close. Supermarket is 3 steps near Villa Tassos! Thank you for the perfect hosting! Perfect Place to stay! Super close to the sea/supermarket/bus station! I really like this place and would come back again! Thank you! The host is amazing, she helped us a lot!! Really great place to stay at. Super close to the beach. Perfect location, staff extremely helpful. Helped me out in my hour of need. Will definitely be returning. Comfortabel bed. 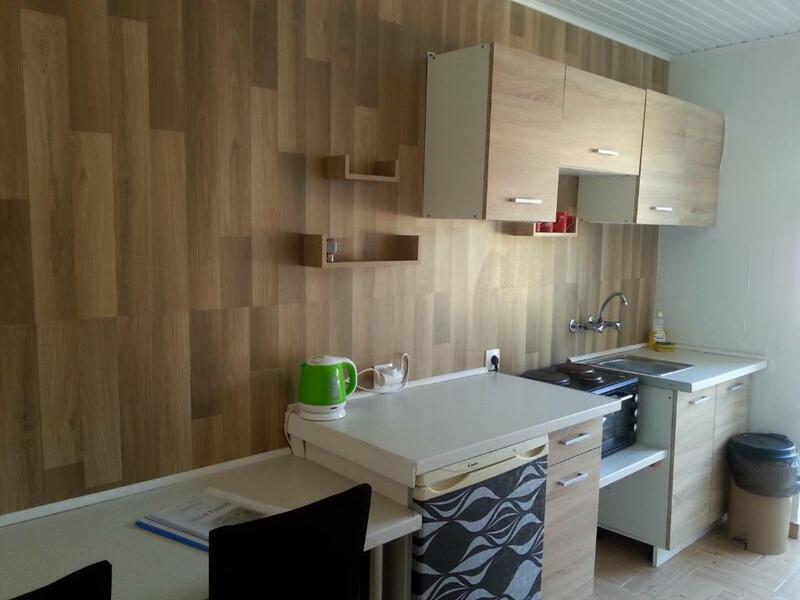 New kitchen ,short distanse to the beach, and tavernas. Lock in a great price for Villa Tasos - rated 8.3 by recent guests. One of our top picks in Acharavi.The family-run Tasos Villa provides self-catered accommodation, just a 3-minute walk from the sandy Acharavi Beach. A swimming pool with a sun-lounger terrace is featured and free Wi-Fi is available throughout. All units include a kitchenette with a toaster, a kettle, a fridge, two-ring cooker and mini oven. There is a fan and a TV as well. The busy Acharavi is 5 minutes’ walk and offers a wide choice of restaurants and taverns. A water park is just 2 minutes’ walk from the hotel. Tasos Villa is 18.6 miles from Corfu Town and 21.7 miles from Corfu International Airport. Free private parking is available. This is our guests' favourite part of Acharavi, according to independent reviews. This property is also rated for the best value in Acharavi! Guests are getting more for their money when compared to other properties in this city. Villa Tasos has been welcoming Booking.com guests since 3 May 2011. When would you like to stay at Villa Tasos? Spacious studio with a spacious kitchenette, TV and private bathroom. This apartment consists of 2 separated bedrooms, a spacious kitchenette, a TV and a private bathroom. This studio has a fully equipped kitchenette and a spacious furnished patio with view to the surroundings. 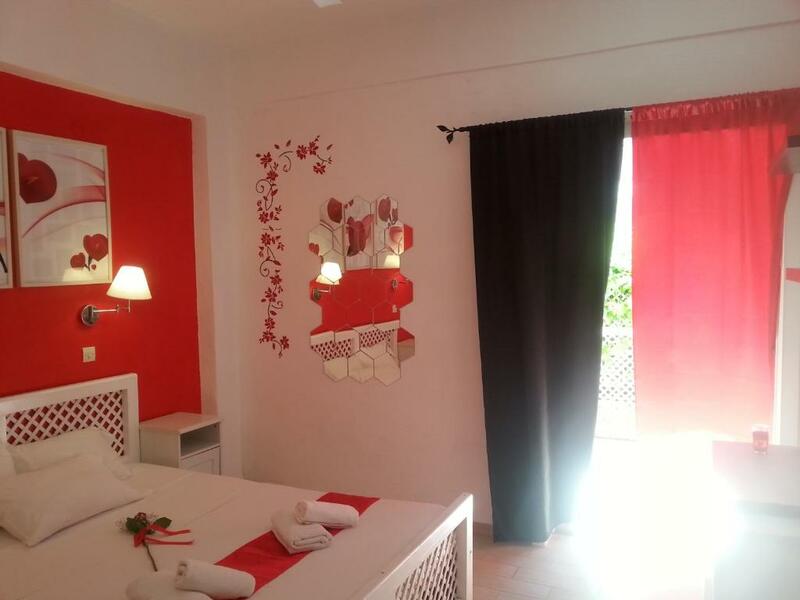 This studio has 1 bedroom and a fully equipped kitchenette. It opens to a large furnished patio with view to the surroundings. Features a kitchenette with cooking facilities and private bathroom. Please note that the studio and bed type will be allocated at check-in according to availability. Guests may be asked to change rooms during the stay, and room types may vary. House rules Villa Tasos takes special requests - add in the next step! Please inform Villa Tasos in advance of your expected arrival time. You can use the Special Requests box when booking, or contact the property directly with the contact details provided in your confirmation. Out dated, dirty oven and rusty plate rack. Beds not comfy. Front room smelt mouldy. Very cold inside and pool was freezing, the tiles around it are lethal, there wasn’t one person that didn’t slip on them. Wifi connection is very very poor, almost unusable. Some evenings there were no hot water running from the shower. The bathroom needed more cleaning when we arrived. Due to the colder weather we needed heating, there is no heating system in the apartments, there's only an electric fanned heater which was very loud during the night for sleeping. The staff is very friendly and helpful, it's a family business. Every day loud music at pool area until late at night; pool fountain was running all night --> quite noisy.